Born out of the Sea Level parties founded by friends Kim Robinson and Obey City to celebrate their shared love of 70s/80s R&b styled music, Sea Level Live will bring those sounds to the live stage. 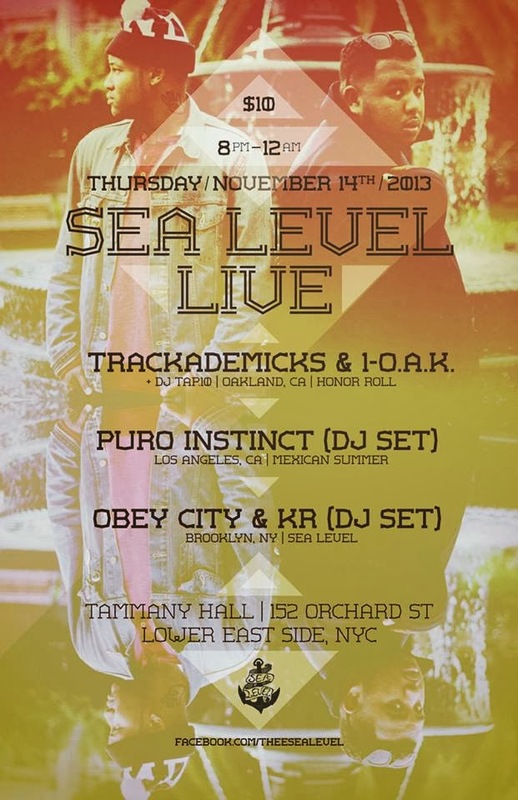 This first event will feature Trackademicks & 1-O.A.K. as well as a DJ set from Puro Instinct (and residents Obey City and KR) to set the mood for what's to come.